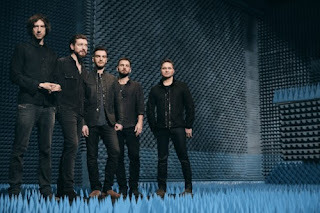 On May 25th, Snow Patrol will return with "Wildness", their first album in seven years, which finds the band searching for clarity, connection, and meaning, while staying true to the melodic songwriting prowess that brought them to prominence. "Wildness" taps into something raw and primitive, and lead-singer and songwriter Gary Lightbody says of the album: "There are many types of wildness, but I think it can be distilled into two: the wildness of the modern age, all it’s confusion, illogic and alienation and a more ancient wildness. Something primal, alive and beautiful that speaks to our true connectivity, our passion, our love, our communion with nature and each other. This is the kind of wildness the album is centered around. The loss of it. Trying to reconnect with it. To remember it." 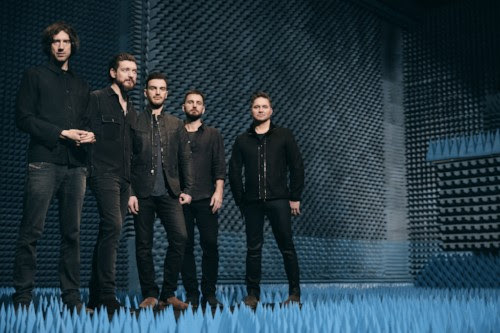 Since their 1998 debut, "Songs for Polarbears", Snow Patrol have racked up an impressive number of critical and commercial accolades, including 15 million global album sales, 1+ billion global track streams, 5 UK Platinum Albums, and are Grammy and Mercury Music Prize nominated. After their Fallen Empires tour ended in 2012, band members —which also include multi-instrumentalist Johnny McDaid, guitarist Nathan Connolly, bassist Paul Wilson, and drummer Jonny Quinn — decided to take a step back from the band, and focus on their own projects. Gary Lightbody continued his work with his Tired Pony side project with members of Belle and Sebastian, R.E.M, Reindeer Section and Fresh Young Fellows and moved to Los Angeles to begin writing songs for movies (including "This Is How You Walk On" for 2017’s Gifted), and doing a number of high-profile co-writes with Ed Sheeran, Taylor Swift and One Direction. Taking this extended break from Snow Patrol proved to be a source of inspiration, and writing songs that were not pulled directly from his own psyche helped heal what Lightbody considered to be not so much writer’s block as life block. It’s in this search for clarity and connection that these songs were written and refined. "I think it’s the first record I’ve ever written that I haven’t just asked a bunch of questions. I actually tried to figure out why I was unhappy, why I feel out of place, why I’m afraid," says Lightbody. "There’s nothing really to protect myself for-- it’s all in the album. I want to remember." This impulse was partially inspired by Lightbody’s father, who is suffering from dementia. "I think the album is defined by memory in a lot of ways," says Lightbody, "including my father’s loss of memory." The songs are surefooted, displaying a newfound sense of self and purpose, and the rest of the band members rose magnificently to the occasion. The album is produced once more by the great Jacknife Lee, Snow Patrol’s longtime producer and collaborator. "Life on Earth" opens the album with its mission statement, "this is something else, this is something else." "Heal Me" feels like an ancient hymn: "Finally, after way too many years of smashing my body to bits with booze, I met someone who helped me find my way back to health and clarity," says Lightbody. "This song is about her, that journey and is dedicated to her." "Empress," written for Lightbody’s goddaughters, is fierce and heartfelt, with runaway drums and keen words of wisdom. "What If This Is All The Love You Ever Get?" is a heartstring-puller, posing the question nobody wants to ask. The last track, "Life and Death," is a rumination, and a human story of love and forgiveness— mostly self-forgiveness for Lightbody, demonstrating that perhaps everyone ought to take this long between albums to reflect long and hard before they write. "Seamus Heaney, my favorite poet of all time, said at 71 that he was only discovering what some of his poetry means, and this is coming from a Nobel Prize-winning poet. It’s a great testament to inspiration," says Lightbody. "Sometimes it takes you five years to write the thing. Like now. And you know for sure when you finish an album like that, where you’ve poured over every detail and put every atom of yourself into it, everything makes sense and I bet you I’m never not proud of this record." 6 What If This Is All The Love You Ever Get? Pre-order your copy of Wildness from the Official Snow Patrol store HERE to be among the first to access tickets to see Snow Patrol live. 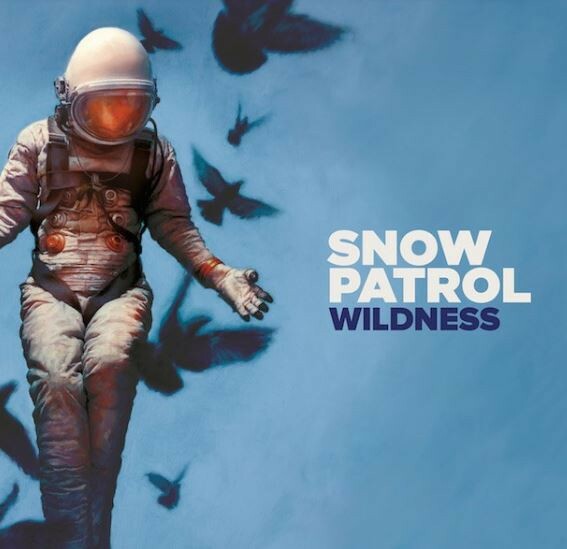 Watch the new album trailer for Snow Patrol’s "Wildness" HERE.